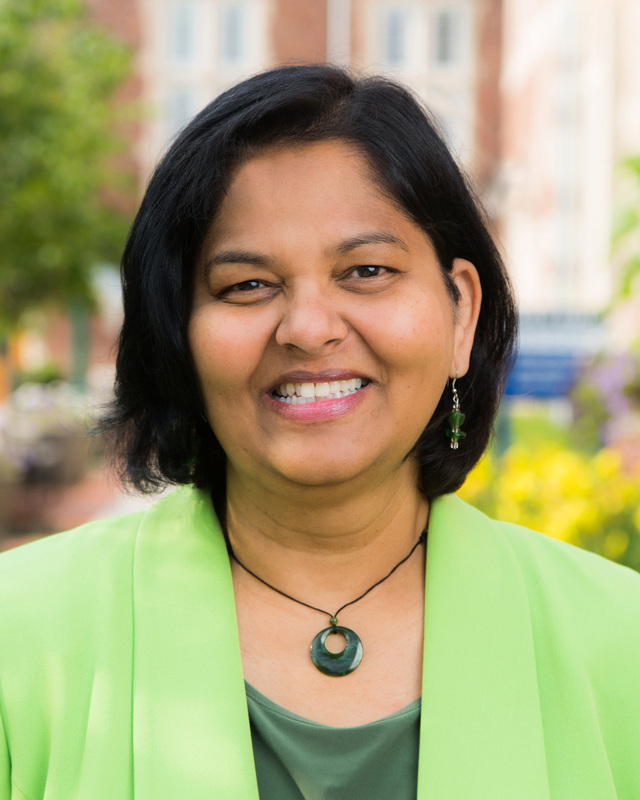 Savi Iyer has been a member of the Geneseo faculty since 1993. She has taught a wide variety of courses in physics. Her areas of research interest include general relativity, geometric methods, strong gravity, and gravitational lensing. K. A. Fletcher, S. V. Iyer and K. F. Kinsey “Some Pivotal Thoughts on the Current Balance,” The Physics Teacher, 41, 280-284 (2003). E. T. Newman, C. N. Kozameh and S. V. Iyer, "Einstein Equations via Null Surfaces," Acta Physica Polonica A, 85, 647-654 (1994). Savi Iyer (Savitri Venkateswaran, V. Savitri) was born in Chennai, India, and in 1986, emigrated to the US to begin graduate work in Physics. She and her husband, Madan Shastri, have two children, and live in Pittsford, NY. "Interviewer: Some people say they can't understand your writing, even after they read it two or three times. What approach would you suggest for them? Faulkner: Read it four times." -- Paris Review interview with William Faulkner.